Welcome To Golfer-Today. Keeping you informed over a wide and varied range of golfing subjects with original text golf articles. 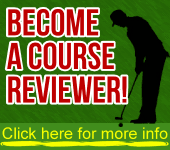 Have your say and send us your thoughts on any golfing subject you care to have published. If it interests you it will interest the whole golfing world. Register with Golfer-Today now and take advantage of a free draw to win a valuable golf prize.